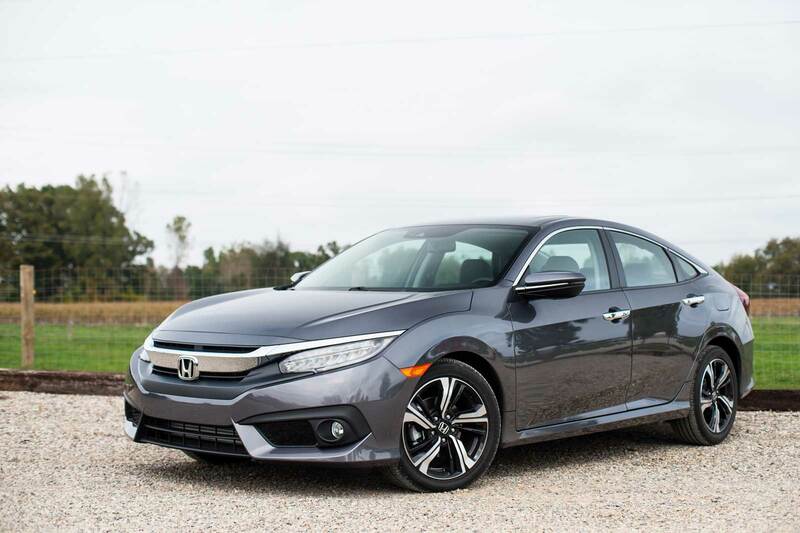 May was a great month for the Honda Civic, as it posted a solid 10% gain on year-over-year sales, with 8,240 units sold. Another positive taken from the month of May was the 14% increase in May on sales of 683 units for the versatile Pilot. With concern on Acura’s numbers, Gardner was sure to reinforce that the 2017 MDX arriving in July will help Acura’s results to get back to their usual levels in the coming months. 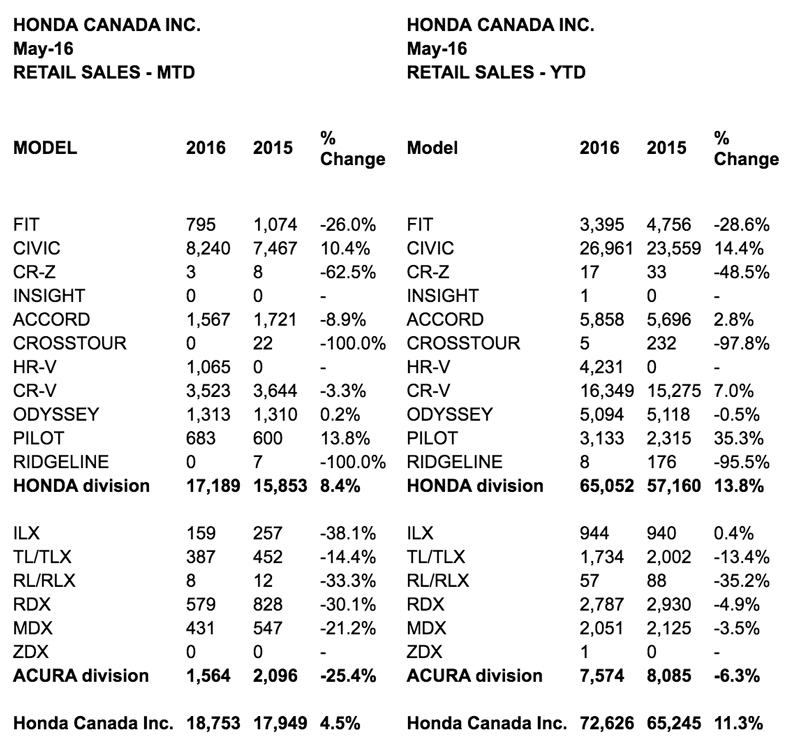 Stop by the dealership and see for yourself why Honda keeps setting the bar higher and higher in terms of sales, and why more Canadians than ever are getting into Hondas. You can see the numbers for May 2016 in the table below.